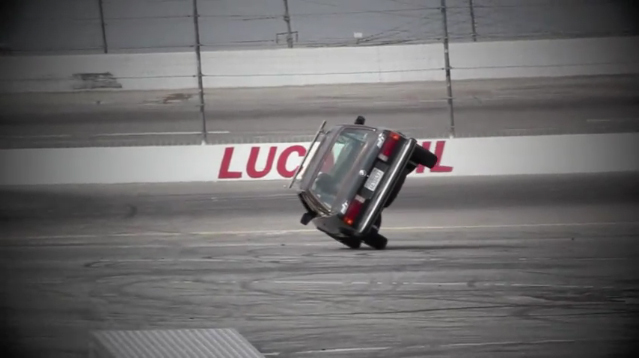 We found this video of our buddy Sam “The Crazy Swede” Hubinette learning a new trick at Toyota Speedway. Sam and his crew packed up their rig with an old school BMW and a specialized ramp. What for? Well in a bit of off season fun Sam wanted to learn how to drive on two wheels. Which actually would be a pretty valuable skill for him to have since his other job is stunt driving. In the video below Sam really shows his natural talent as he takes to the maneuver really quickly. Check out his progress in the video below.